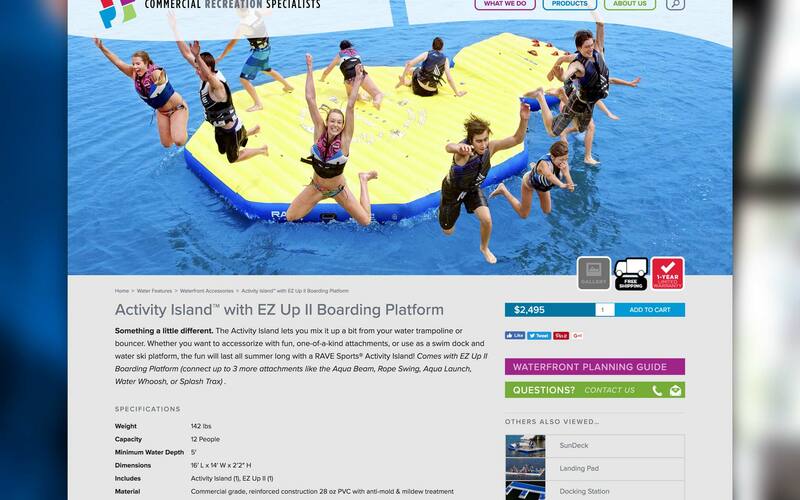 COMMERCIAL RECREATION SPECIALISTS — When your slogan is “Serious About Fun!” you really have no choice but to have a fun website. It’s a rule. Big ol’ photos convey it best. Since CRS offers full planning and design services as well as hundreds of commercial-grade recreation products, simplified nav cuts through it all so it’s easy to find what you’re there for. 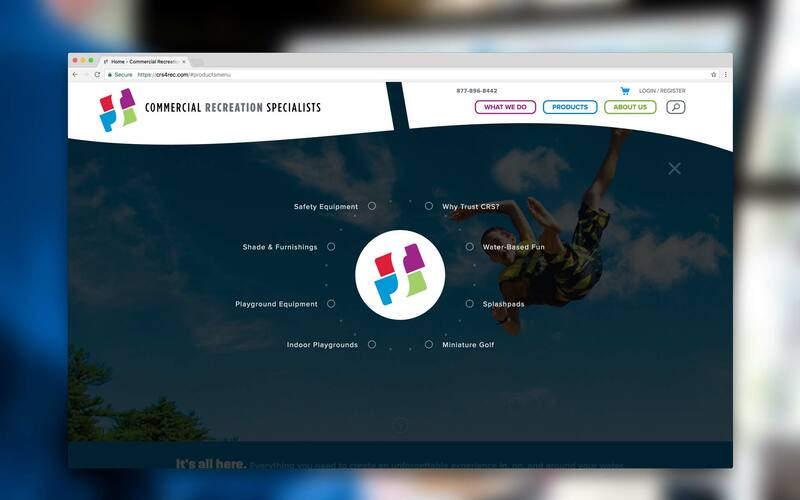 COMMERCIAL RECREATION SPECIALISTS — Speaking of “fun”, the center homepage symbol is sort of an easter egg in plain site. Hover and the color logo entices you to click, which reveals a unique radial navigation for custom promotion. 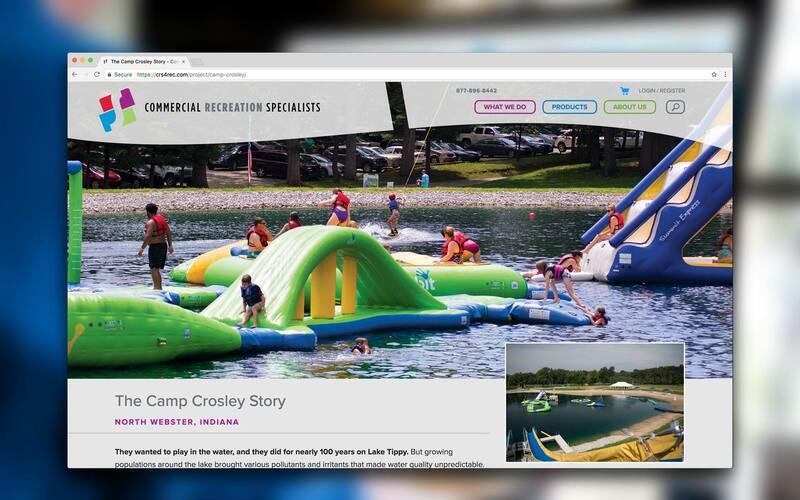 COMMERCIAL RECREATION SPECIALISTS — Showing visitors “what we do” relies on a series of case studies, each fully integrated with other web assets, including products, testimonials, and other like-projects. COMMERCIAL RECREATION SPECIALISTS — Product pages present consistently with case study presentations, clearly laying out all of the product details but still focusing on a big, juicy image full of fun! 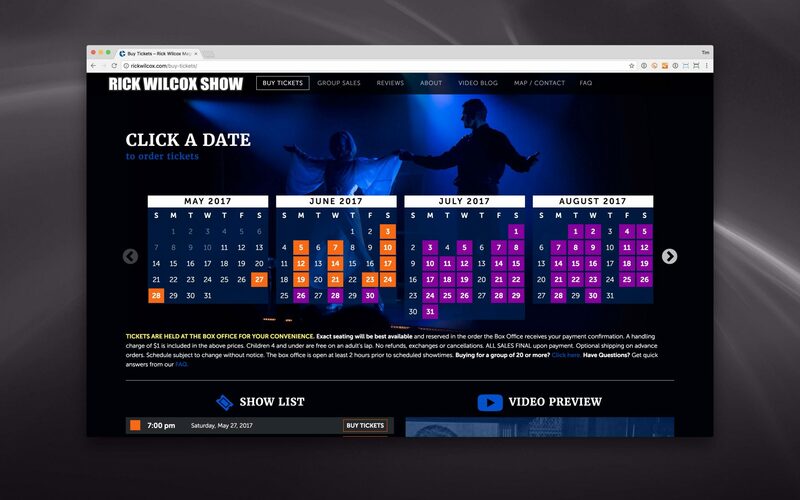 RICK WILCOX SHOW — The secret to the success of the Rick Wilcox Theater lies not only in the incredible talent of its namesake, it’s the amazingly powerful word-of-mouth advertising they receive from audience reviews on travel sites like TripAdvisor.com. To keep up with their glowing reviews, this mobile-optimized site reflects the show’s exciting, top-notch vibe, but keeps the tone down-to-earth like Rick & Suzan themselves. RICK WILCOX SHOW — Seeing is believing, right? 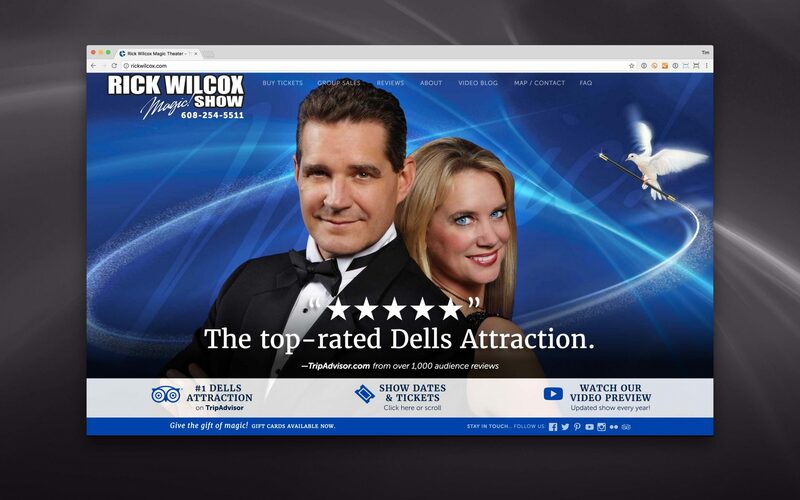 Visit RickWilcox.com on your desktop or tablet and you’ll see a quick promo video of show highlights before settling into the familiar branding seen on billboards and advertisements around the Dells (visit the site to watch). Straightforward nav and a simple one-page scroll homepage gets you where you want to go, whether you’re a clicker or a scroller. RICK WILCOX SHOW — Making it irresistible and easy to get tickets is the idea. The homepage list of upcoming shows works for some, the show calendar is better for others. Our custom scheduling system utilizes traditional ecommerce with static product elements that merge with our dynamic show scheduler. The result is an incredibly powerful and easy way to manage ticket sales that also gives the Theater customized administrative control over their web sales. 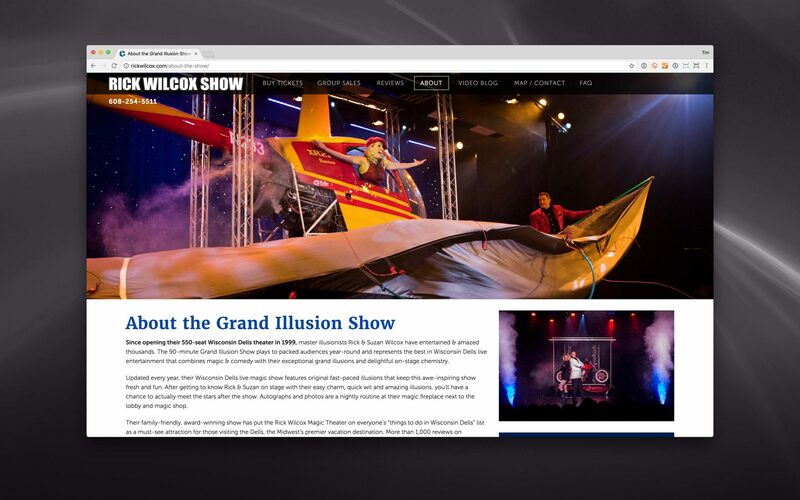 RICK WILCOX SHOW — The overriding goal for every page at RickWilcox.com is to capture the vibe of the show as if you are there — and make you think “I need to see this!” — All of this site’s copy was written by Chatman Design and nearly all of the live performance photographs were taken by Chatman Design. 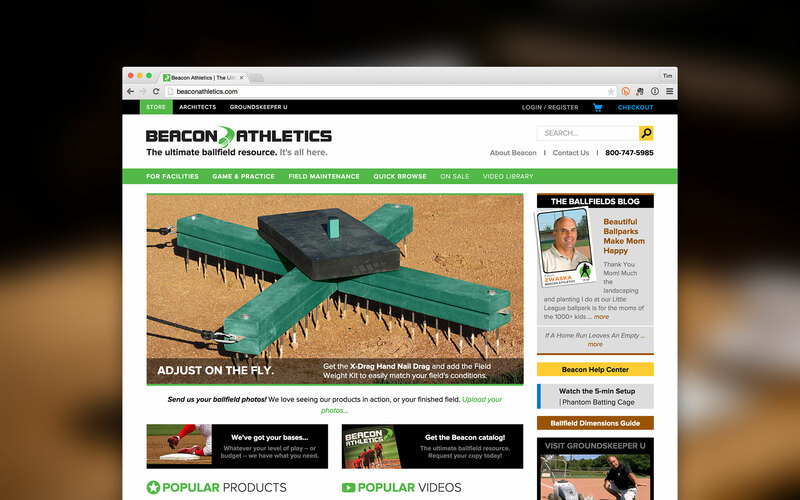 BEACON ATHLETICS — Beacon offers a great number of products with a lot of variety in how they are offered, how they ship, etc. 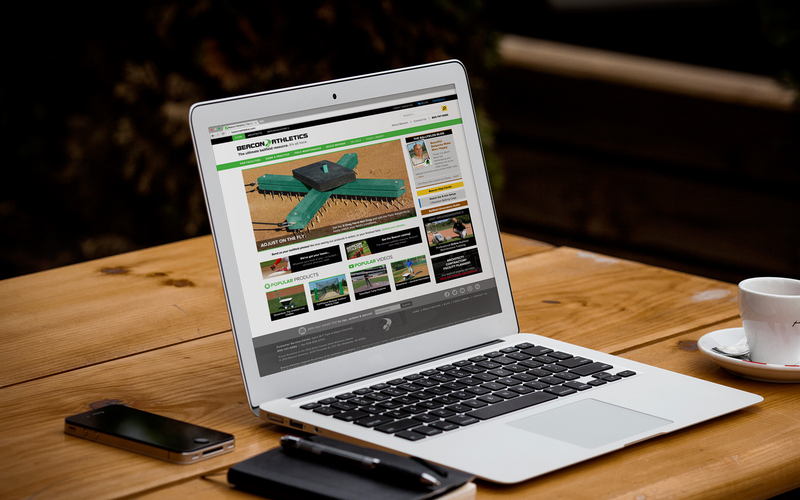 Their home page promotes products as well as their informational blog and their online training subscription-base program, Groundskeeper U. Content stays fresh, appealing, and relevant. BEACON ATHLETICS — With such variety in product offerings, the navigation begs for simplicity from all that complexity. Staying true to their four main categories of product, we expand each basic category to a mega-menu of it’s own with headers and lists of options below. Intuitive and clear navigation is the result. 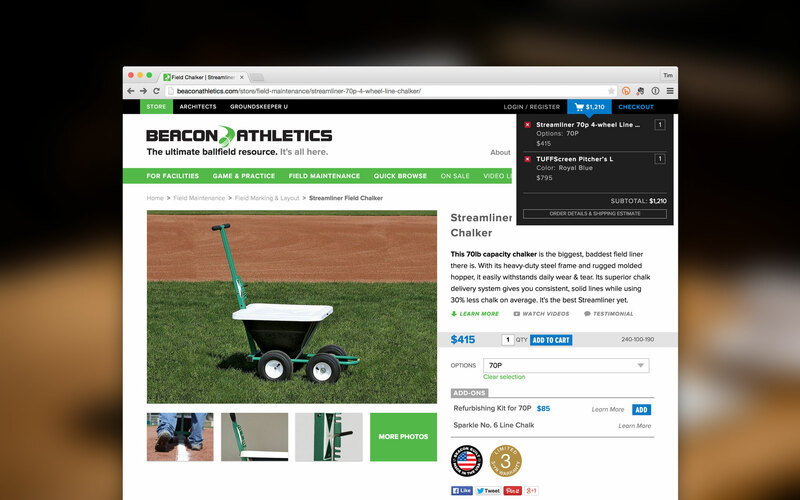 BEACON ATHLETICS — One of the cooler parts of the Beacon buying experience is the mini-cart that confirms you have added an item to your cart. The mini-cart drops down to reveal a fully functional cart and then retracts after a couple seconds. Just click the blue cart icon to view the cart, regardless of where you are in the Beacon Universe. 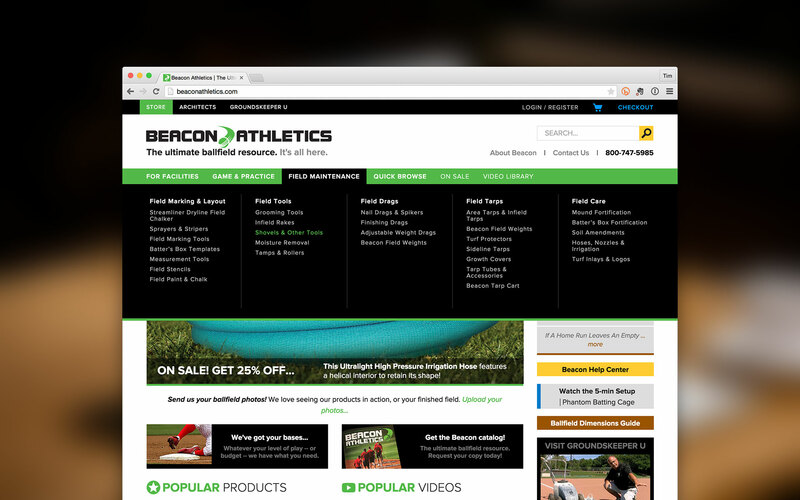 BEACON ATHLETICS — We engineered a major boost in search results for Beacon. A key component to that surge has been useful and helpful category pages. 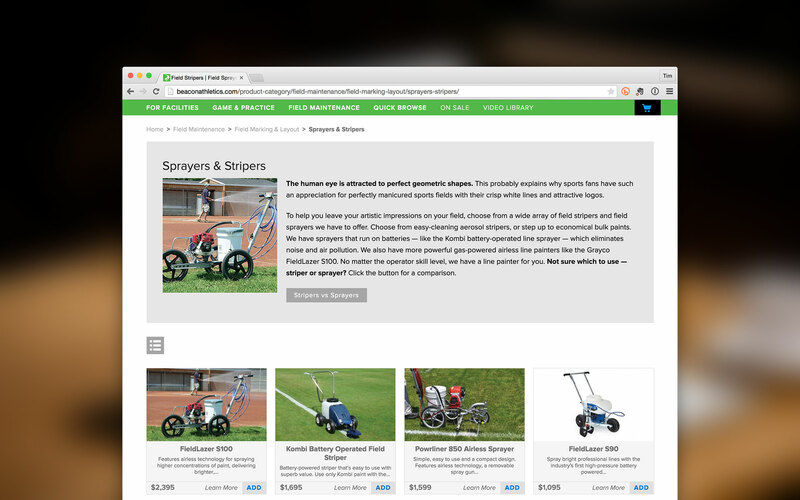 Visitors are given general information about the top of the category page, then product thumbnails accompany introductory text, pricing, and an add-to-cart button for easy browsing and buying. 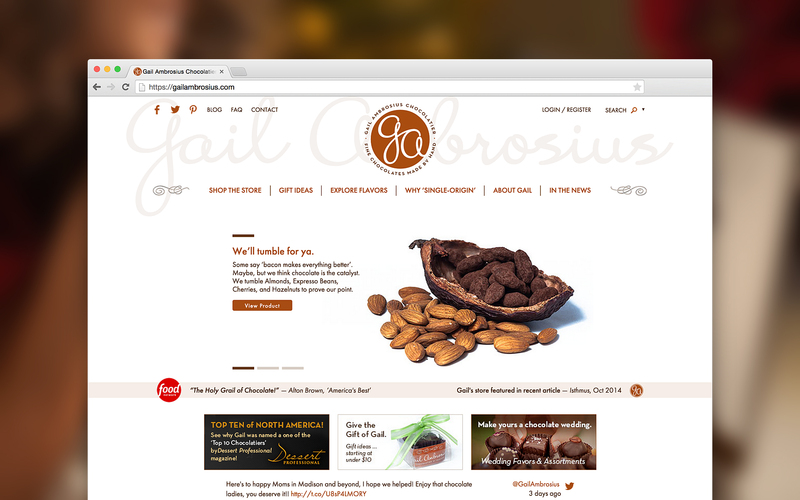 GAIL AMBROSIUS CHOCOLATIER — The nation’s best box of chocolates deserves the best website for chocolates, right? Right! One of the most important aspects is the special consideration given to smartphone users who have easy access to Gail’s phone number, map, and hours of operation. 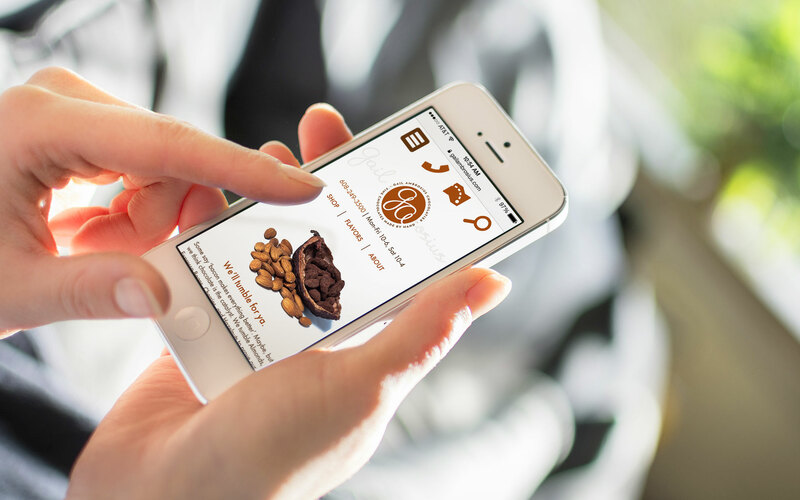 GAIL AMBROSIUS CHOCOLATIER — Giving visitors a consistent — but tailored — experience regardless of the device makes the site easy to navigate time and time again. Use of a resolution-independent vector logo (svg) means Gail’s logo will look extremely crisp every time — even on ultra high-resolution retina desktop displays or hi-res smartphones. 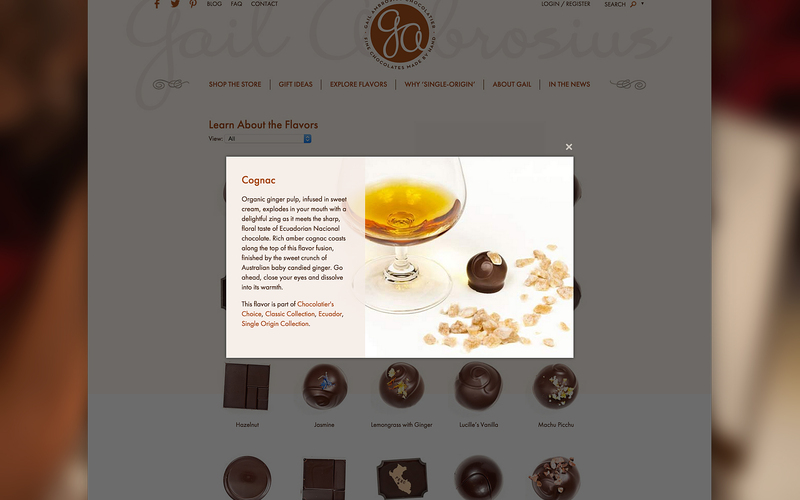 GAIL AMBROSIUS CHOCOLATIER — Not only do you get flavor descriptions with enticing photos, you also have a list of collections that feature the flavor. In just a click you can see all the flavors from that collection. Seriously hard to resist. 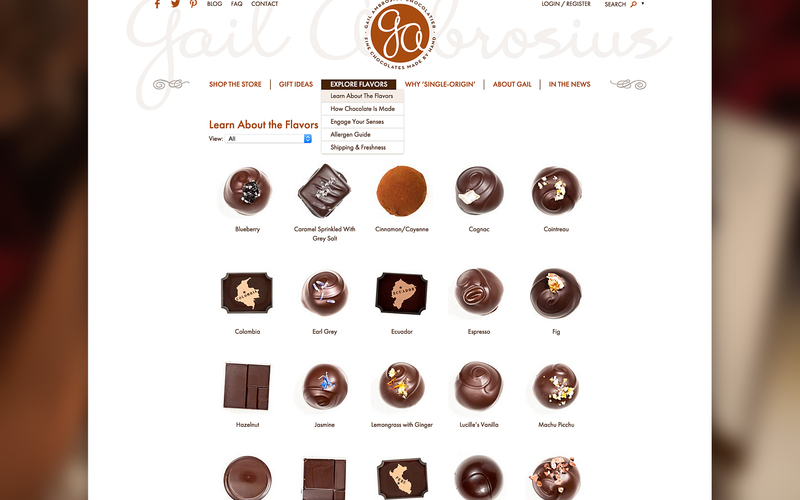 GAIL AMBROSIUS CHOCOLATIER — Easy descriptions and an allergen guide, where applicable, deliver the vital information at a glance. Products can be sorted using the allergy symbols with a simple click. 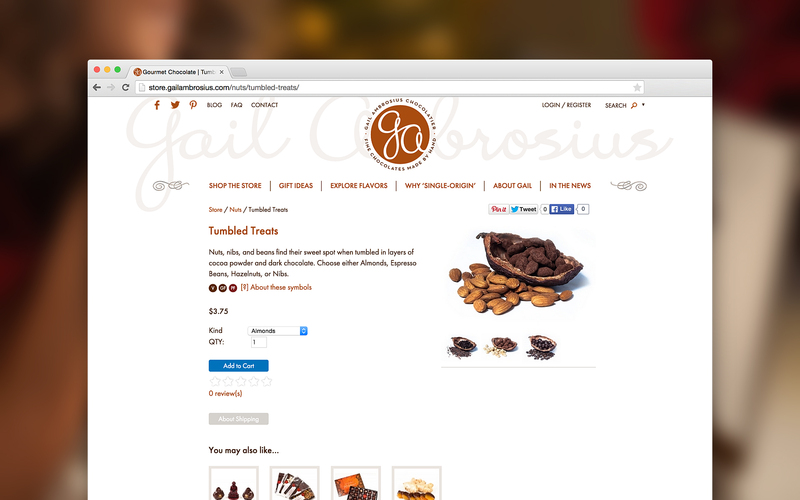 All photos are zoomable, and each product can be shared by the visitor on social media.